What Does A Cooling Pillow Do For Your Sleep? The pillow you sleep on does a lot for your sleep quality and your long-term sleep patterns which ultimately affects your overall health and entire day. You know that when you have uncomfortable sleep at night that it makes you not only sluggish throughout the day but can and usually does come with aches and pains in your body and puts you in a sour mood. Memory foam pillows are great for remembering and molding to the contour and shape of your head and neck which means that your pillow will adapt for you rather than you adapting to your pillow. The pillows on this list are all memory foam as well as cooling to give you added support and take the stress and strain off of your body. Cooling pillows bump up the comfort of your sleep by keeping you cool and sweat free every night. When you are more cool, your sleep quality is better and you will no longer have to flip the pillow over throughout the night to get to the cool side as the pillow itself is the cool side. 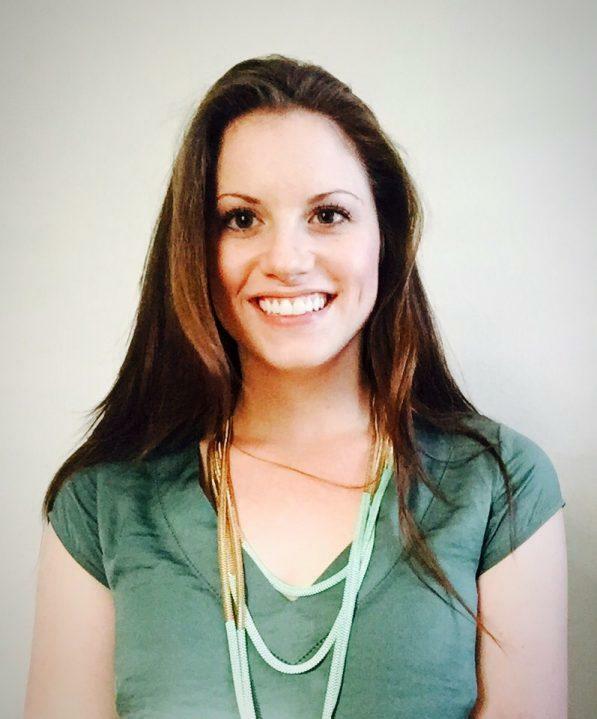 Breathability: A quality that most people will look for and that we put at the top of our list is that it should be breathable. If the pillow is breathable then it allows for more airflow to pass through the pillow itself and with therefore make it more cool than other pillows. Hypoallergenic: Not only should the pillow be extremely cooling but it should also by hypoallergenic so that you can use it in your home with everyone. A hypoallergenic pillow will help you have a better night’s sleep because you will not be reacting to allergens throughout the night. Cost effectiveness: Though many cooling pillows or pillows that do more than just act as a pillow are expensive, they do not have to be. We have included relatively inexpensive pillows on this list so that you can afford having the comfort you want. Chemical free: Many pillows are made with harsh and artificial chemicals that are unnecessary for you to have in your home. For this reason we chose pillows that are made without heavy metals and without harsh chemical compounds. Snuggle-Pedic has created for you a more natural product that is made of shredded memory foam and acts as a cooling pillow thanks to the material. 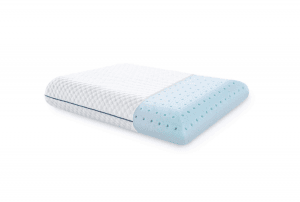 Because the memory foam is shredded and not a thick, consistent piece of padding, it allows for airflow to be circulated through the pillow to provide a breathable material that cools the pillow while you sleep. 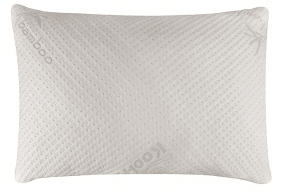 This pillow is constructed from polyester and bamboo and is microventillated which amplifies the breathability. 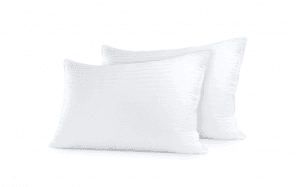 The pillow is hypoallergenic and dust mite resistant so it is safe for everyone in your household especially because there are no harsh chemicals or heavy metals used in the production of this particular pillow. There is a 120 day guarantee for you in case you find issue with your pillow in the first four months of using this product. You can order this incredibly breathable pillow to keep you cool in either the standard size, the queen size or the king size pillow. Sleep restoration offers you a gel cooling pillow that is less expensive than the other pillows and you actually get two for the price you may have paid for a single pillow. You can order either a pack of two in the queen size pillows or in the king size pillow depending on which will go best with your bed. This pillow is designed to be not only dust mite resistant but also mildew resistant to keep your pillow in the best condition for as long as possible. The pillows are hypoallergenic as well as free from heavy and harmful chemicals so you will feel safe purchasing this for your home and for your children to be around. You can wash this pillow in a washing machine as often as you feel that you need to without fear that it will ruin the pillow. It is stain resistant and also fade resistant so it will stay looking clean and new for a long time. Plixio has put their pillow on the market and it is going to be one of the least expensive memory foam pillows and you get not only one but two pillows for a price that is lower even than you usually pay for one. You get two queen size pillows for under twenty-five dollars while you would usually pay thirty-five to forty dollars for single memory foam pillow. 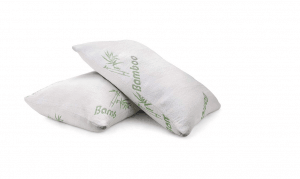 These are imported pillows made from a polyester and bamboo combination to give you the best quality product, that will hopefully lead to a better night’s sleep. The shredded material allows for breathability and maximum airflow and thus you have a pillow that is cooling as well as comfortable. This pillow is hypoallergenic and is suitable for you to use in your home and with little ones around. The pillows is designed to help you not only get a better night’s sleep but to help with common sleep issues. The weekender has created an extremely breathable, ventilated gel memory foam pillow that allows for maximum airflow. Not only will the airflow allow for the pillow to be cooled, it has a gel that is designed to regulate the temperature in your pillow to keep it optimal and cool. There is a soft cover for the pillow that has a zipper to close it so you can keep the memory foam enclosed safely. You can wash the zipper cover to keep it clean and it will not get ruined, faded, or discolored easily but keep the pristine condition that you will want to have sitting out on your bed. This is an extremely firm pillow that provides support for your head, neck, and shoulders to relieve the stress and strain on your head and neck. When you lay down to sleep at night you will feel this pillow curve to the contour of your neck and head and allow you to truly relax and not force yourself to curve the form of the pillow. You can order this pillow in one of three different sizes, either standard, queen or king size pillows depending on your personal needs. You get a three year warranty with this in the event that you have an issue with the pillow. 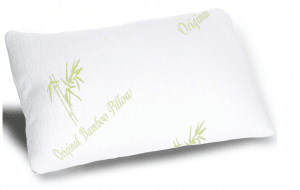 Original Bamboo has created a shredded memory foam pillow that is breathable and pushes airflow to allow for the pillow to cool throughout the evening. It comes enclosed in a bamboo pillow case that is made of soft, breathable material to lay your head and face against at night. This pillow is hypoallergenic and made without heavy metals and chemicals that you do not need in your pillow. You will feel safe putting your children to sleep on these pillows knowing that they are made more naturally and safely. The pillow is adjustable and you can take the shredded memory foam in and out of the pillow in order for you to inflate or deflate the pillow depending on how flat or firm you would like the pillow to be each night before you sleep. You can order this pillow in either a standard size or the queen size pillow depending on which you need for your living space. 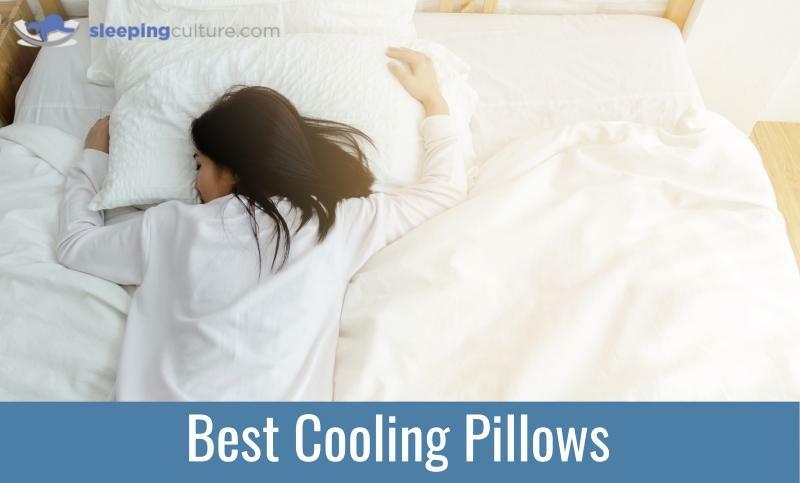 If you are looking to get a better, cooler night’s sleep then you probably do want to put your money and time into investing in a cooling pillow. While you may be wary of buying an expensive pillow you can find more inexpensive options that do not come cheaply made but can be high quality while saving you a penny or two. A cooling pillow will help you to stay dry throughout the evening and have a restful sleep because you will not wake up overheated or uncomfortable. You can choose a cooling pillow that is not memory foam but all of the ones on this list are memory foam as we have found that have proper head and neck support coupled with cooling material creates the best night sleep for you and your whole family. You can buy just a single pillow for yourself but often times you can order a pack of two or more to use throughout your house or in a hotel or guest house. Some pillows even come at a lower price thanks to you purchasing more than one pillow at a time.